Meet Pat McElhone, your Personal Injury Lawyer in Louisville, KY.
Mr. McElhone limits his practice to representing victims of serious injury or death. He has resolved, through settlement or trial, in excess of 1000 cases involving injury or death for millions of dollars. He has been recognized as one of Louisville's Top Lawyers by Louisville Magazine and achieved the highest rating of Pre-eminent by Martindale Hubble very early in his career. Among other honors, Mr. McElhone has been recognized as one of the Top 100 Trial Lawyers by the National Trial Lawyers Organization. Pat is a life long resident of Louisville having graduated from St. Xavier High School. 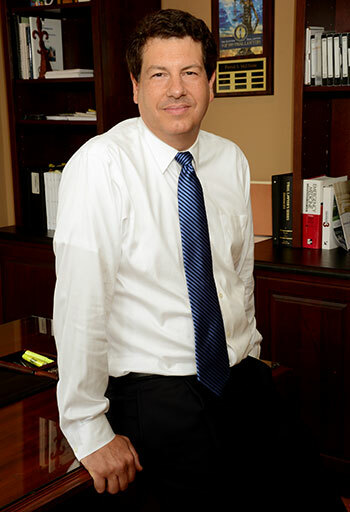 He obtained his undergraduate degree from the University of Kentucky and his Juris Doctorate from the University of Louisville Brandeis School of Law. Pat and his wife, Laura, have been married for 20 years. They are the proud parents of their daughter, Emily. They all enjoy the other two members of their family- dogs Marley and Goldie. Pat McElhone was selected as one of the Top 100 Trial Lawyers by the American Trial Lawyers Association. Membership into The American Trial Lawyers Association is by invitation only and is limited to the Top 100 Trial Lawyers from each state. Selection for The American Trial Lawyers Association is extended to civil plaintiff and criminal defense attorneys by special invitation. Candidates are considered for membership in The American Trial Lawyers Association based on superior qualifications, leadership, reputation, influence, stature, and profile in the Trial Lawyer community. 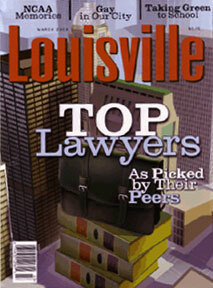 To compile this year's roster of top Louisville Lawyers we invited Martindale-Hubbell, the company that has long set the standard for peer-reviewed ratings, to share their list of local attorneys who have reached the highest level of professional excellence. For more than a century, lawyers have relied on the Martindale-Hubbell Law Directory as a guide to the worldwide legal profession. Thousands of people use the directory every day to find local attorneys, validate their credentials and select firms that provide services for their personal and professional legal needs, The Martindale-Hubbell Legal Network is powered by a database of over one million lawyers and law firms in more than 160 countries. Martindale-Hubbell Peer Review Ratings are driven by lawyers and members of the judiciary who receive invitations from Martindale-Hubbell, in electronic, "eConfidential" form or via the mail, to provide reviews on a lawyer or lawyers of whom they have personal knowledge. Peer Review Rated attorneys are not required to have a paid listing in the Martindale-Hubbell Law Directory to be rated. These ratings reflect the confidential opinions of members of the bar and judiciary. Pat McElhone has been awarded the AV® Peer Review Rating — An AV® certification mark is a significant rating accomplishment - a testament to the fact that his peers rank him at the highest level of professional excellence. Buyers of legal services, as well as those making referrals, consider Martindale-Hubbell Peer Review Ratings invaluable when evaluating a lawyer. Whether choosing between two equally qualified candidates or looking for counsel in another jurisdiction, lawyers and consumers need to have confidence in the individual under consideration. Using ratings, they can select counsel with superior ethics, as well as the desired level of professional experience. Established in 1993, the Million Dollar Advocates Forum is one the most prestigious groups of trial lawyers in the United States. Membership is limited to attorneys who have won million and multi-million dollar verdicts and settlements. There are over 3000 members throughout the country (with several members in Canada and England). Fewer than 1% of U.S. lawyers are members.